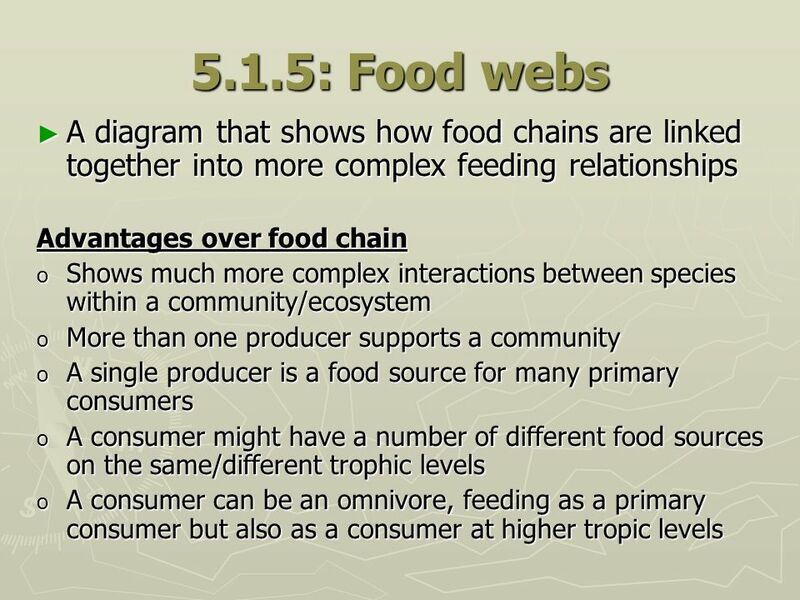 6 5.1.4: Food chains Food chains show a simple linear flow of “who eats who” Therefore shows the energy flowing through the links in the chain Questions to consider! 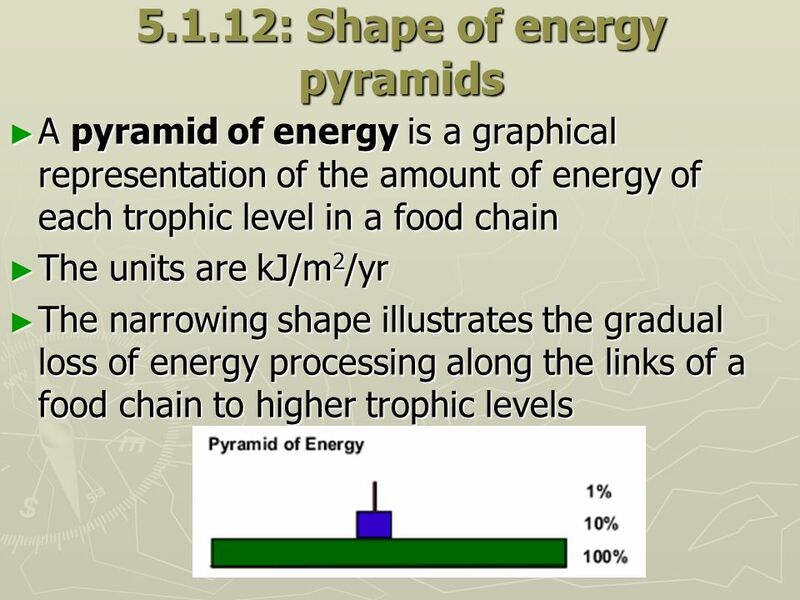 How is energy lost in the chain? 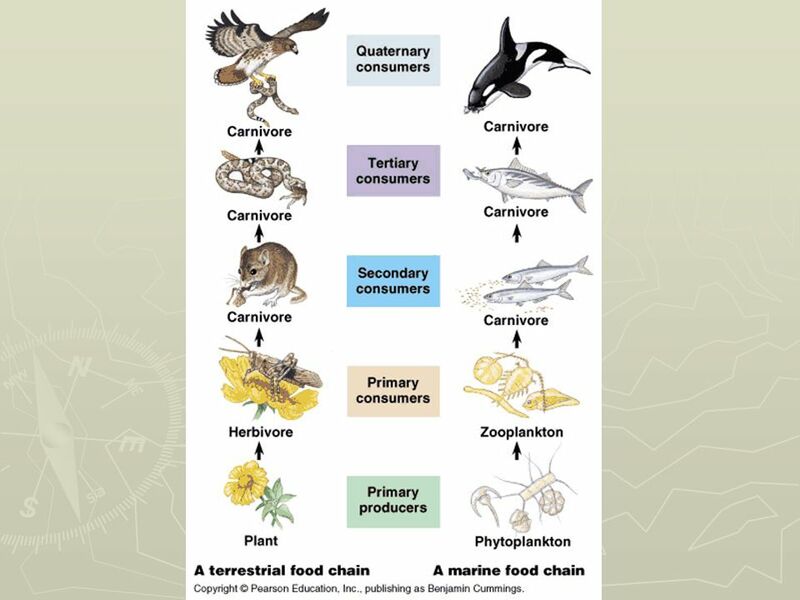 Why are big, dangerous predators so rare? 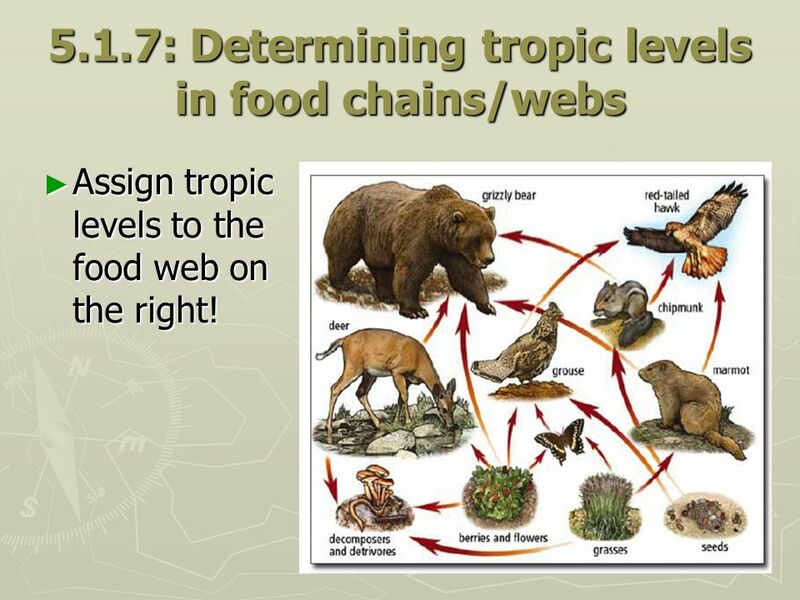 Assign tropic levels to the food web on the right! 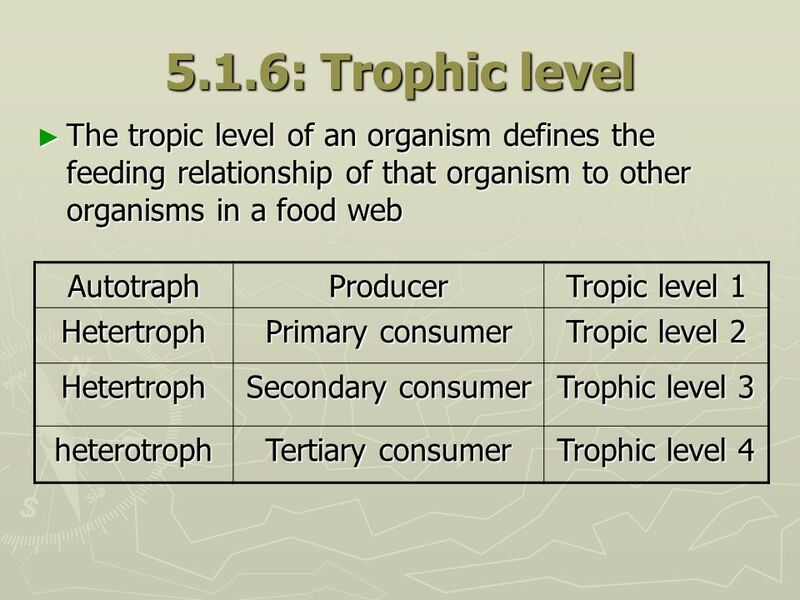 Download ppt "Topic 5: Ecology & Evolution Miss Friedman"
* Producer: An autotroph, makes up the first trophic level of an ecosystem. 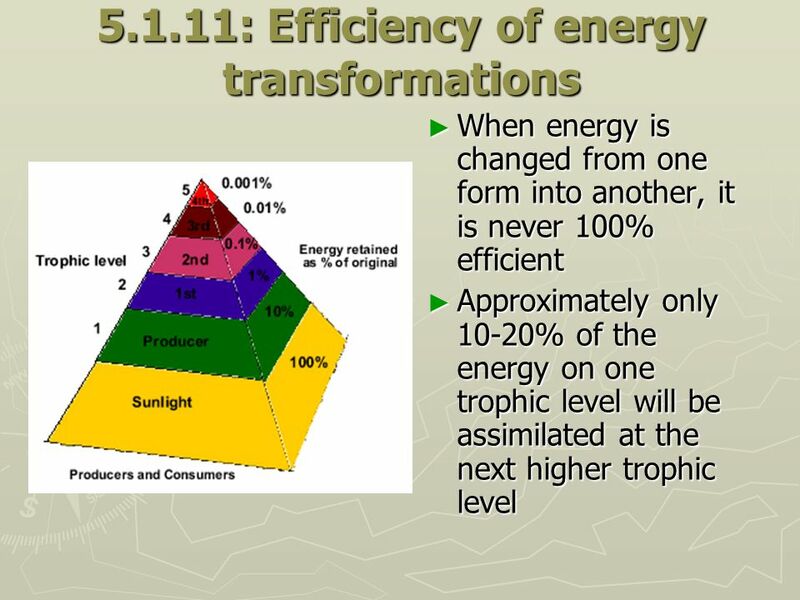 Supports all other levels. 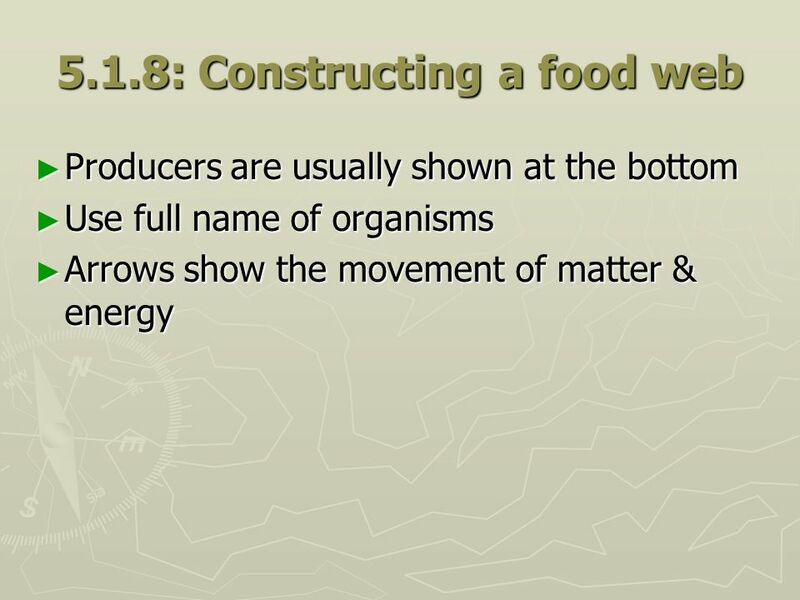 Usually a phosynthetic organism. 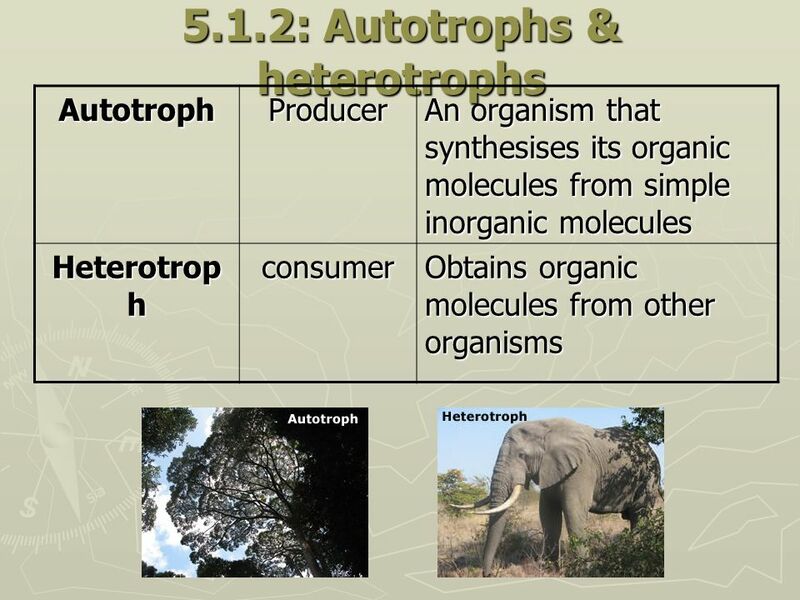 * Hetertroph: An. 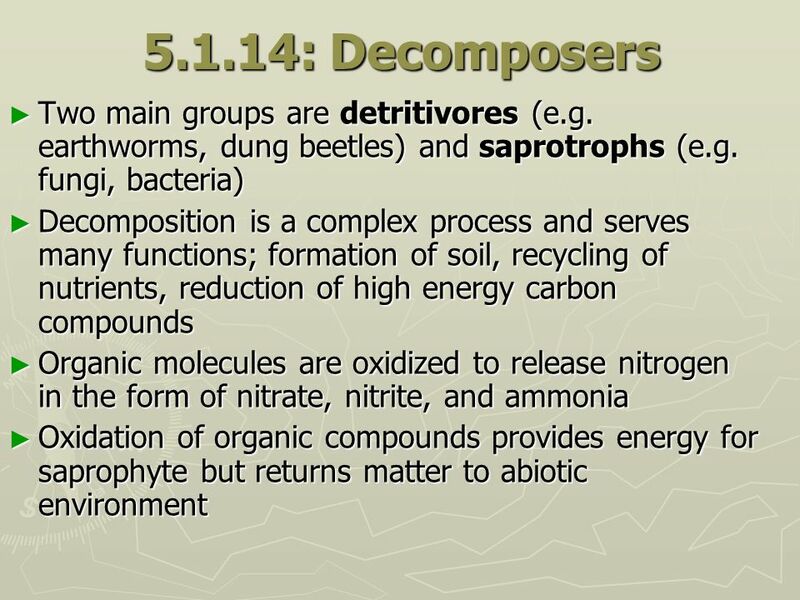 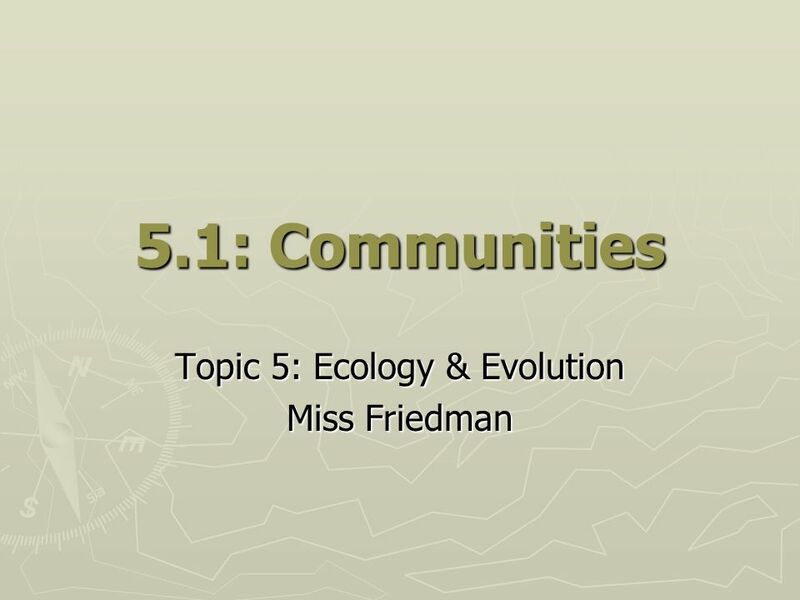 5.1 Communities and Ecosystems. 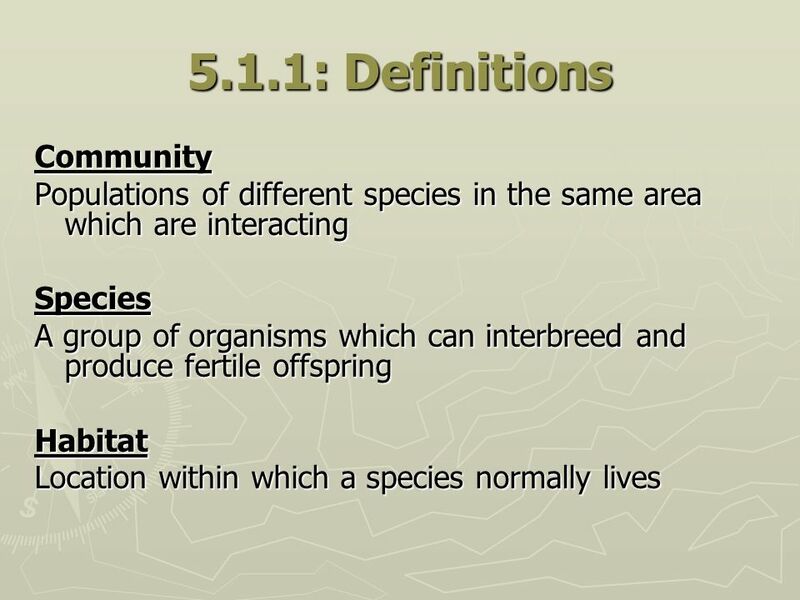 Assessment Statements Define species, habitat, population, community, ecosystem, and ecology Distinguish between autotroph. 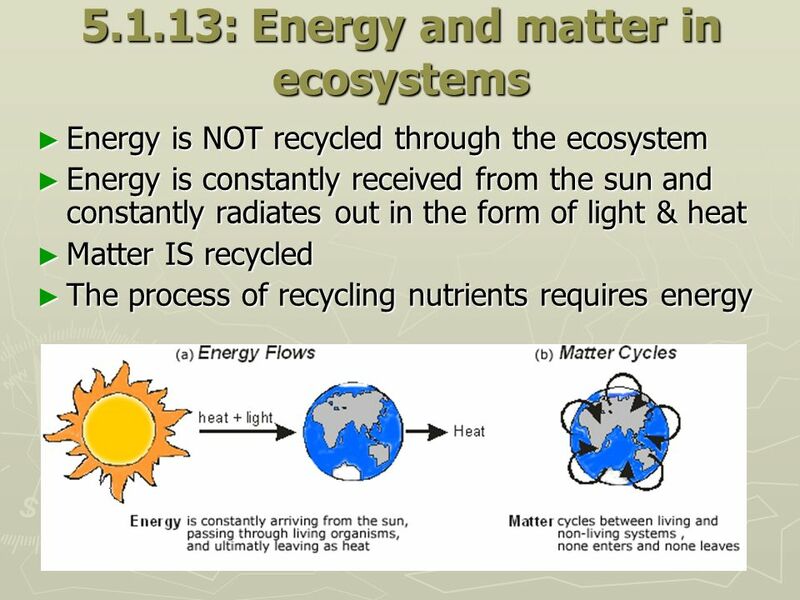 Carbon, Nitrogen, and H2O. 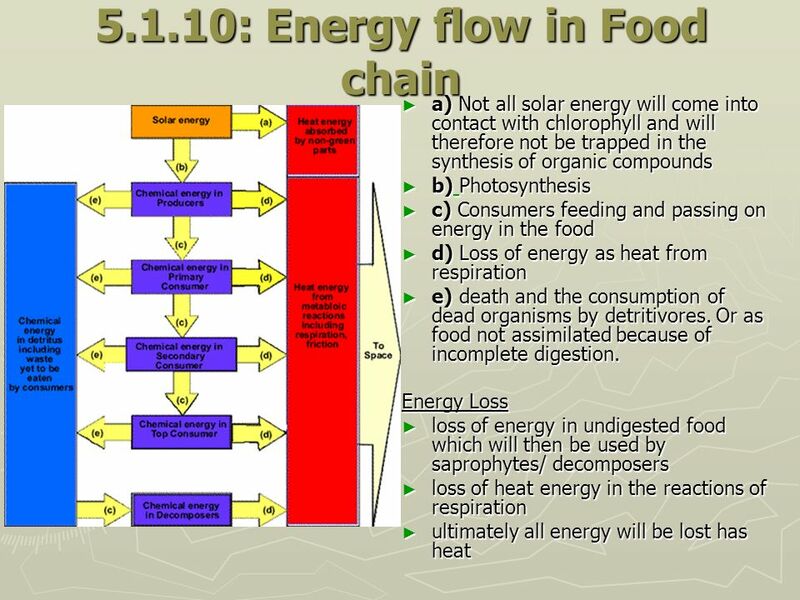 Energy Flow  Without a constant flow of energy, living systems cannot function. 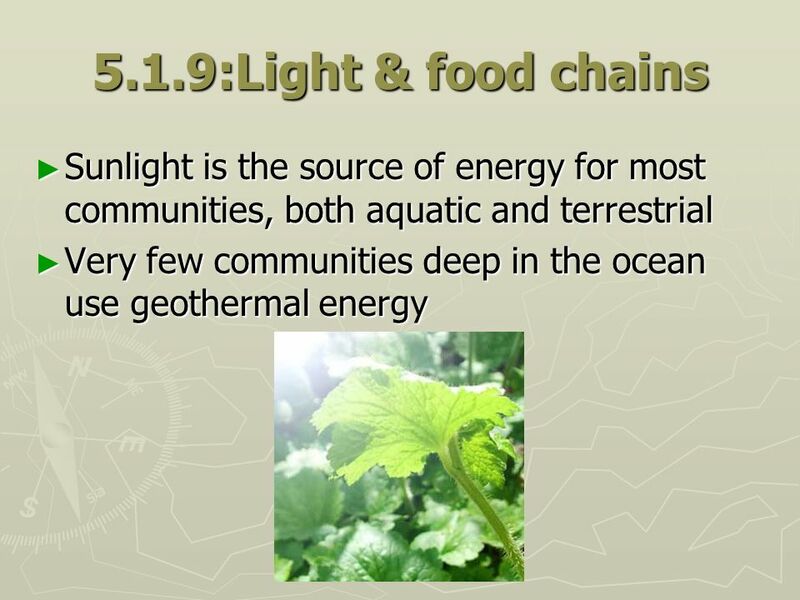 Sunlight is the main energy source for life. 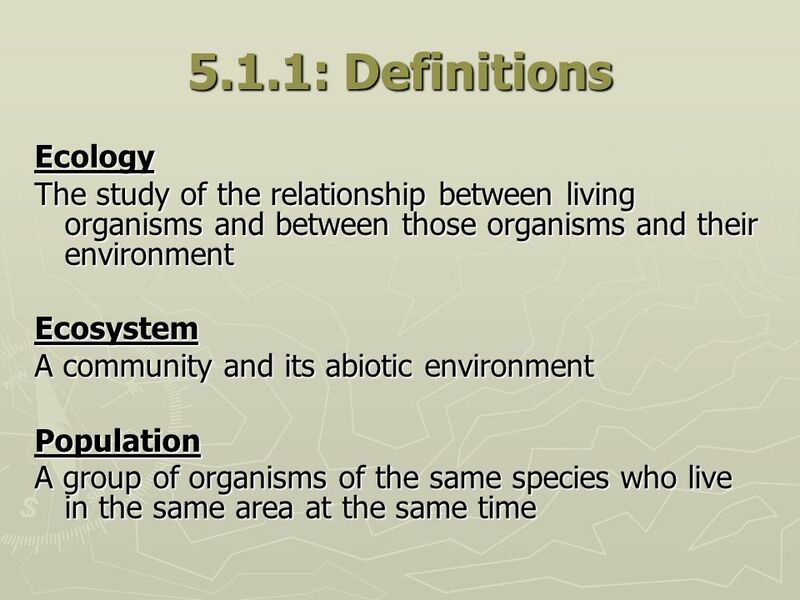 The Biosphere. 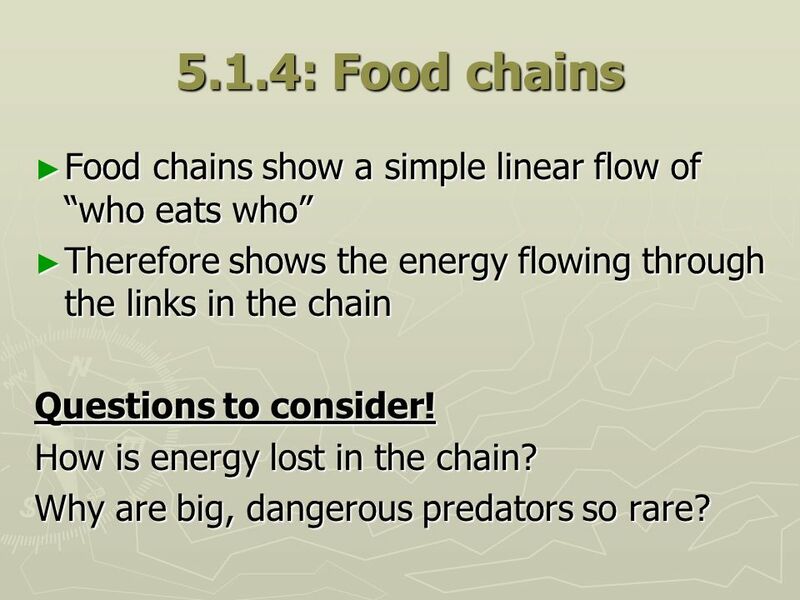 Warm Up April 17  What is a predator? 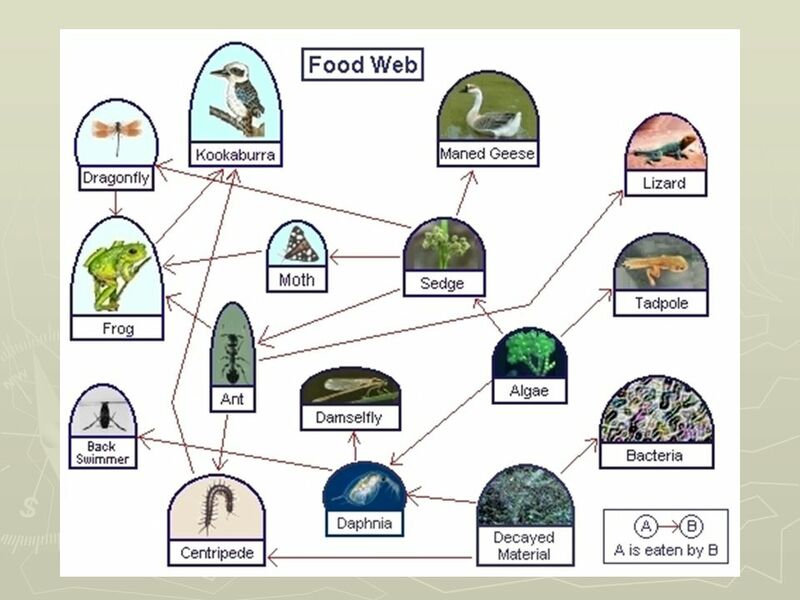  What is a herbivore? 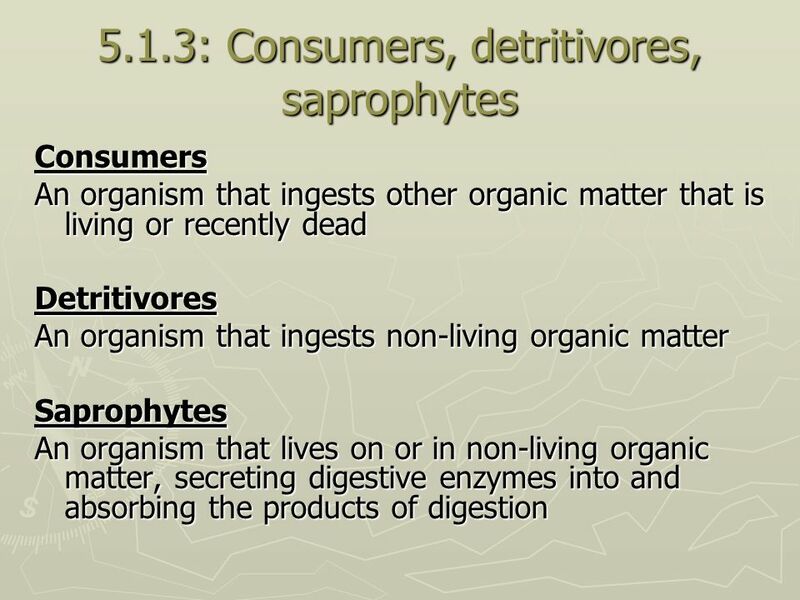  What is a carnivore?